This is one match that can be highly compatible given the outgoing and extrovert nature of an Aries man and an Aquarius woman. This union can guarantee the highest degree of romance and liking for each other’s enthusiastic nature and longing for change. 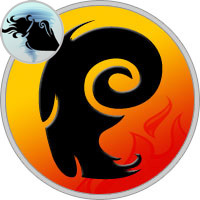 The Aries male is basically fond of adding spice to his life by trying different things which can be termed as “risky behavior” by others but this temperament of the Arian will attract the Aquarius woman towards him. Their competitive and adventurous natures go hand in hand, which is why they will like being together. The Aquarius female although competitive; will let the Aries male to take charge in his exploratory advents. But if the situation goes wrong, the Arian can trust the Aquarian to take charge because of her balanced and controlled nature. This ability of the Aquarian woman to manage any type of situation will help manage events between them even if their relationship is on the verge of collapsing. It is often said that the combination of an Aries man and an Aquarius woman is a match made in heaven as they can sustain themselves without depending on someone else. Both of them like their personal space. However, as both of them have a dominating nature, there is a possibility that they may encroach upon each others personal space which will result in bitterness between them. But this bitterness won’t last for long as it will be overdriven by their passions and love. If the Aries male fails in his ambitious endeavors in life and in career, the Aquarius female will definitely raise his spirits and revive his failed ambitions because of her supportive nature. The Aquarian likes to be admired and complimented about casual or important events. Since each works to enhance the other person’s morale, the relationship becomes interesting and inviting for both. Under such circumstances, both individuals strive to keep the fire burning.